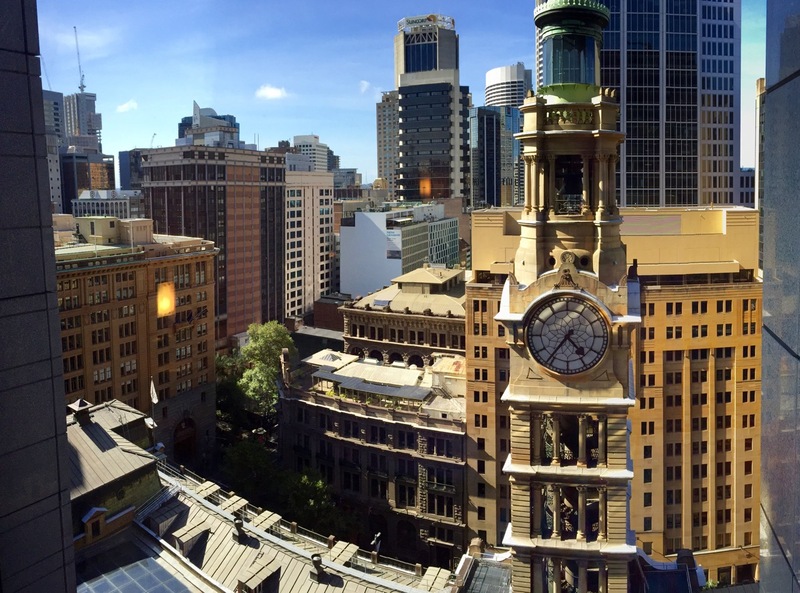 It seems like I’m on an unintentional tour of Australia’s Starwood properties this year – to the point where I might have a crack at retaining SPG Gold or SPG Platinum if it continues. 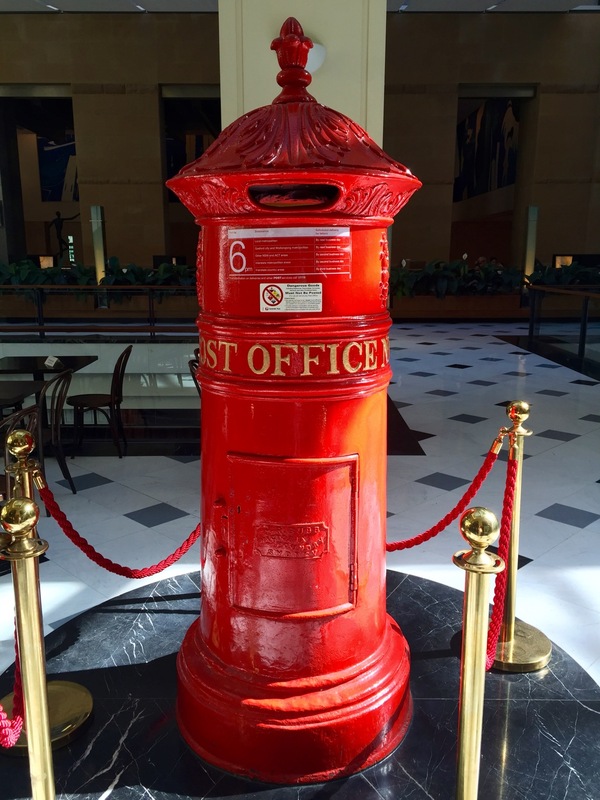 My first stay of the year was a quick overnight in Sydney’s Westin hotel in Martin Place, which is at a really accessible location in the iconic old General Post Office building. 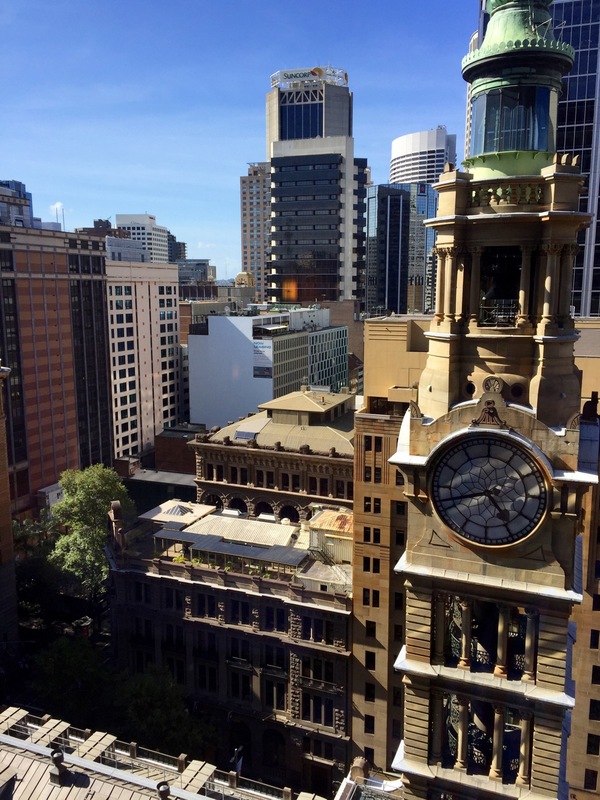 This review is of the basic Tower Superior guest room, which was on around the 8th or 9th floor with a stunning view of the old GPO building clocktower. 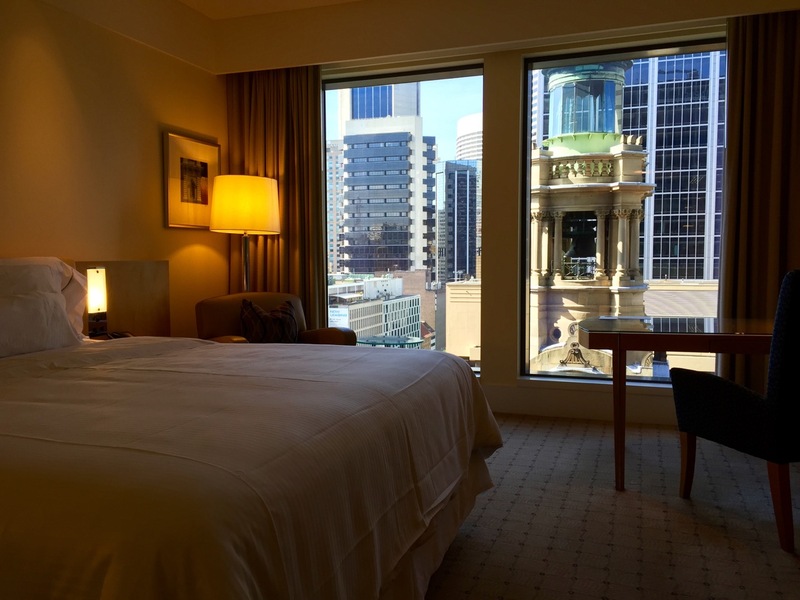 Update: this hotel will leave Marriott-Starwood and rebrand as the Fullerton Hotel Sydney on 19 October 2019, meaning Marriott Rewards points will not be able to be used for stays after that date. 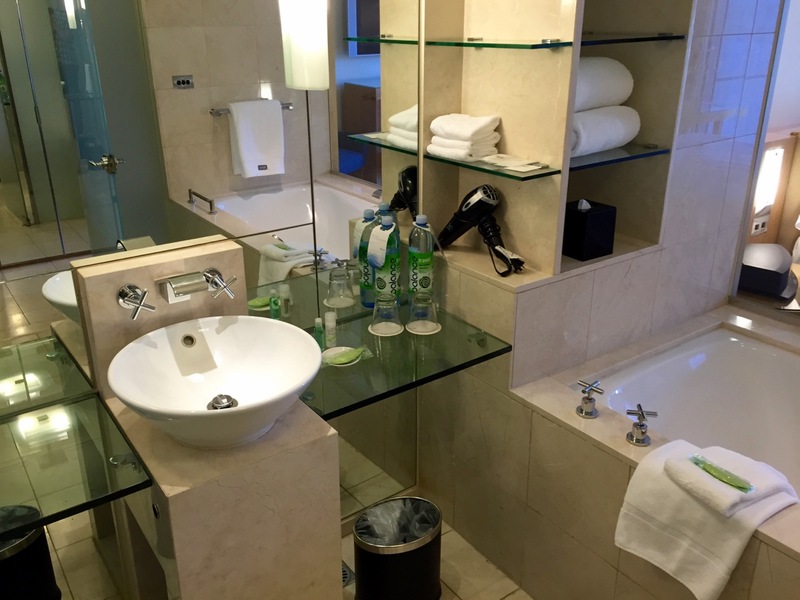 This room was booked on a paid rate, relatively last minute, and came in at around $200. 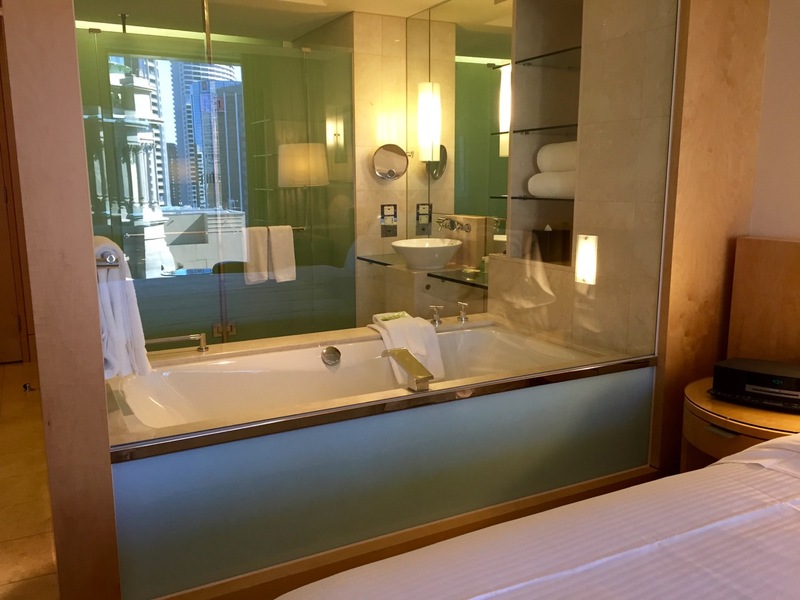 It was just after Christmas – still in the quiet time for business travel, and the cost was pretty reasonable for a high-end hotel in the city centre. 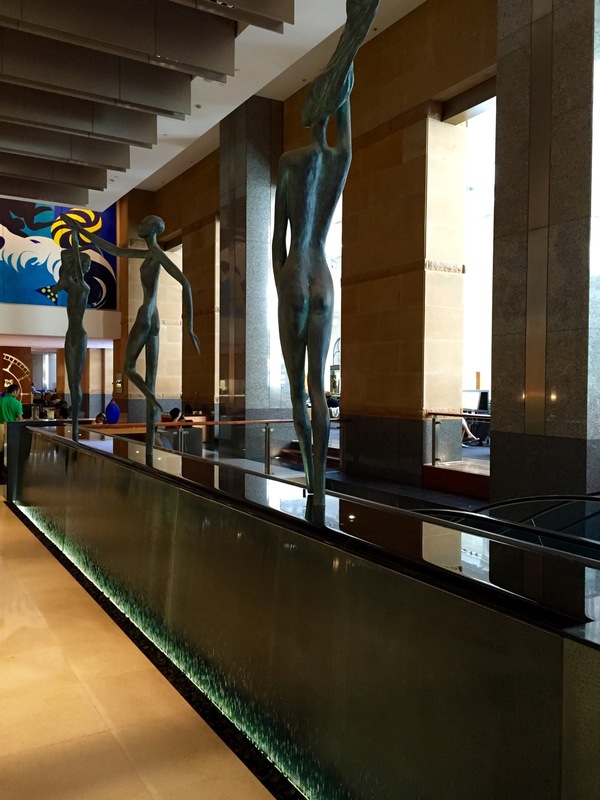 If you wanted to pay for a standard room using Starpoints at The Westin Sydney you’d be looking at 12,000 Starpoints. I think more often than not, you’ll find that the rate will be better than redeeming points here. 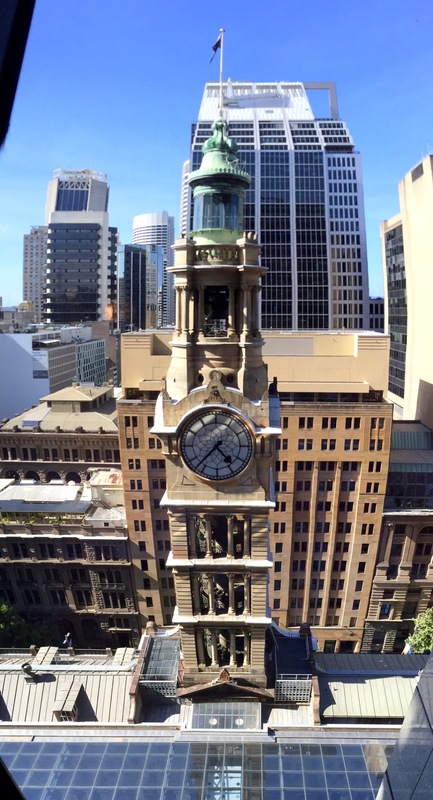 As I mentioned before, the hotel is housed in the old GPO building in Martin Place. This is a heritage building, constructed from 1866, and was sold from public use in 1996 and converted to private use. 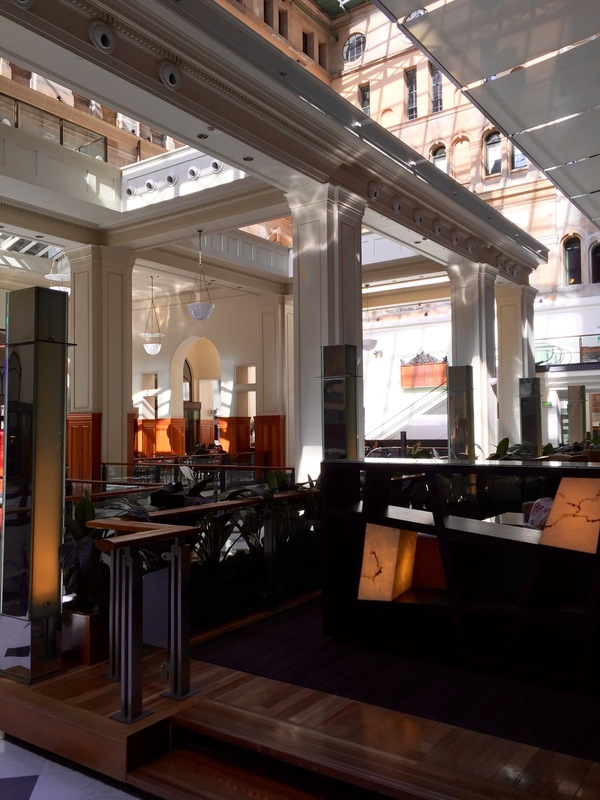 The Westin is situated in the former courtyard, which has now been turned into a covered atrium – along with a range of bars and cafes. There’s evidence of the building’s former life in a few pockets just a stones throw from the hotel lobby. There’s more on the building at Wikipedia. 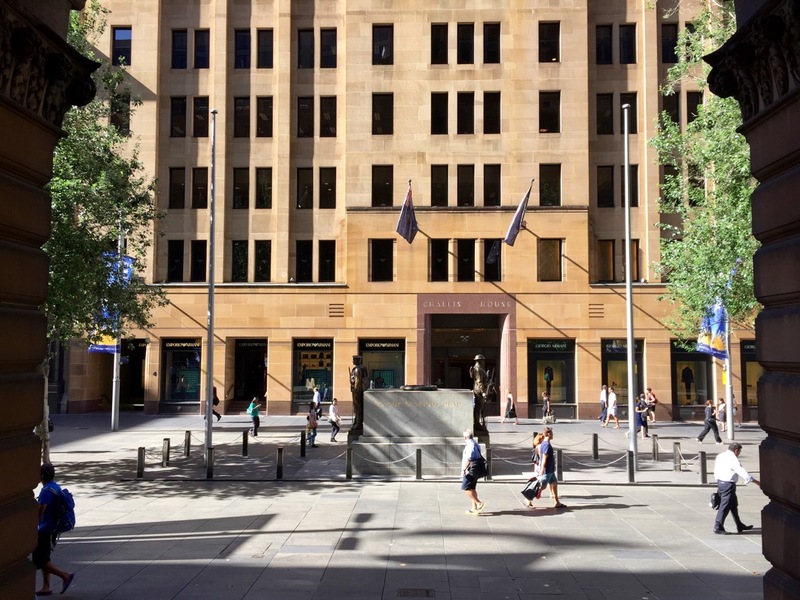 It’s a great spot – I have walked past The Westin and Martin Place on my way to work each day for years and was keen to step inside and check it out. 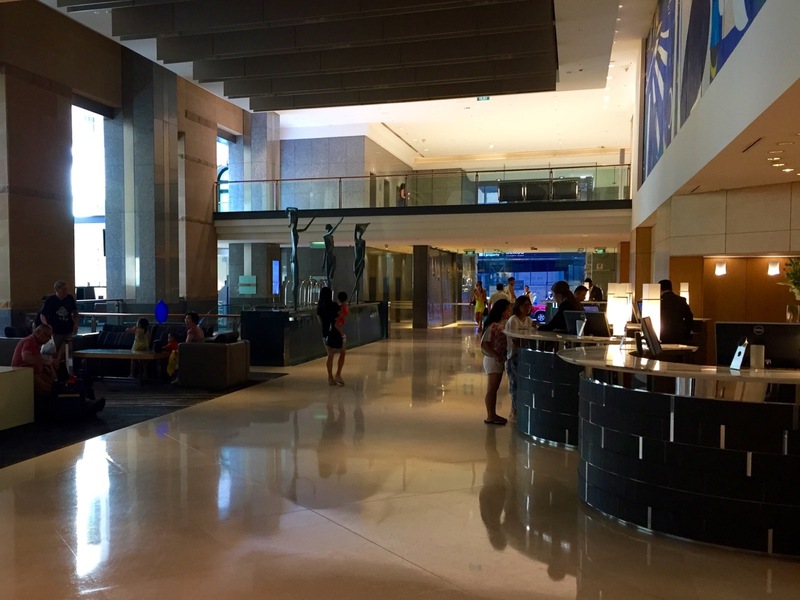 The Lobby is large, but I wouldn’t call it grand – just a lot of space using up that covered atrium I mentioned before, and the hotel bar hidden toward the back. There’s some public art and a fair bit of seating. I have used the lobby previously as a space to hang out and kill time in, and it’s a good spot for grabbing a drink and people-watching while getting on with some work. On entering the room the biggest wow factor was, funnily enough, the bloody great big clock tower right in front of the room window. It was actually really impressive, and very cool to have such a dominant reference to the hotel’s location right in frame of the window. That was probably the most notable thing about the room. 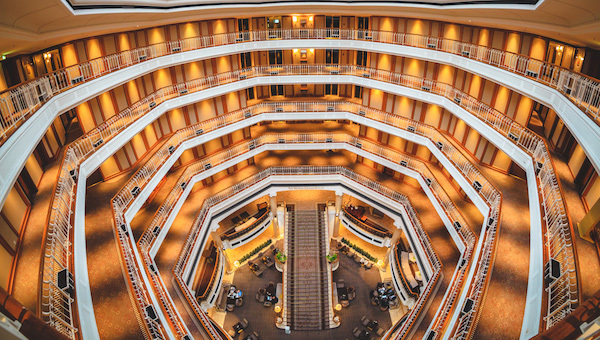 The rest – decor, furniture and atmosphere – was all fairly stock-standard Westin, and nothing really to aspire to visiting. Don’t get me wrong though, the room was totally functional and a pleasant enough place to sleep and spend time in. The bathroom had a large see-through glass panel to increase the appearance of space, and was totally clean and comfortable. 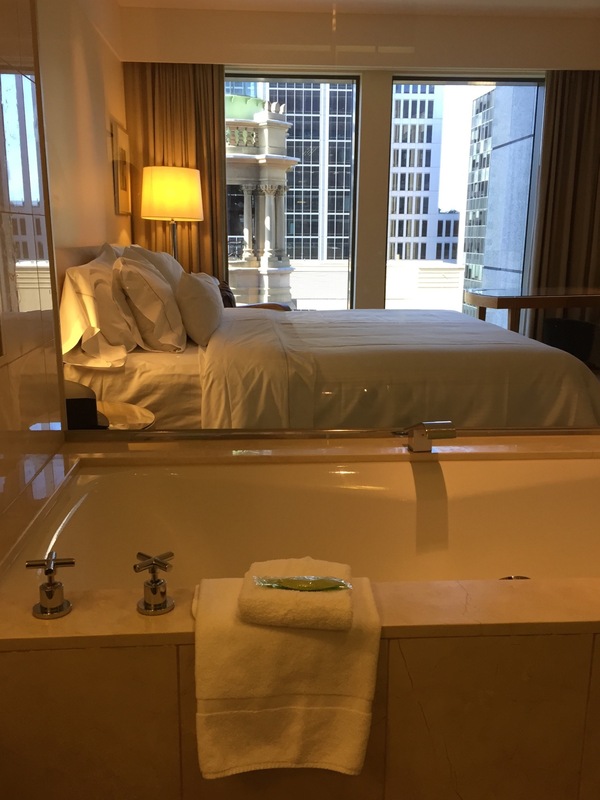 100% what you’d expect from a Westin. 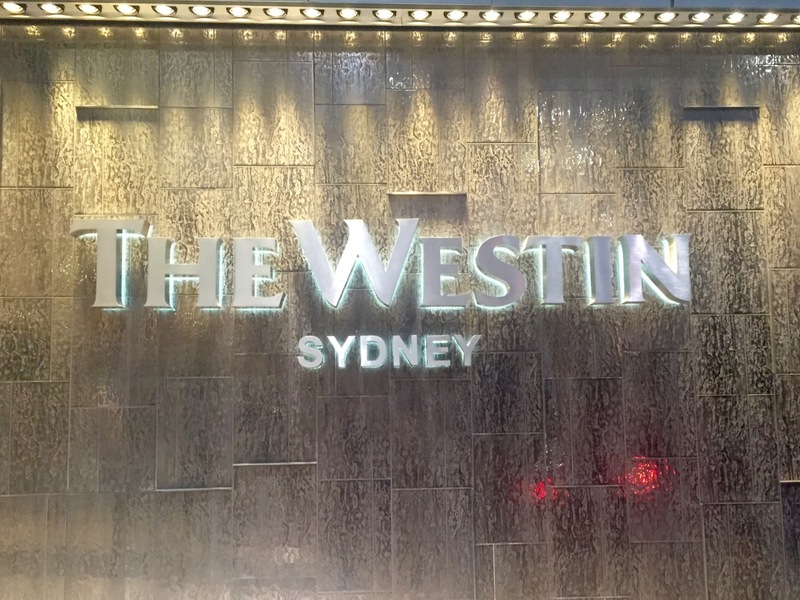 As you can probably tell, I’m struggling to push really rate The Westin Sydney from my short stay in a basic room. 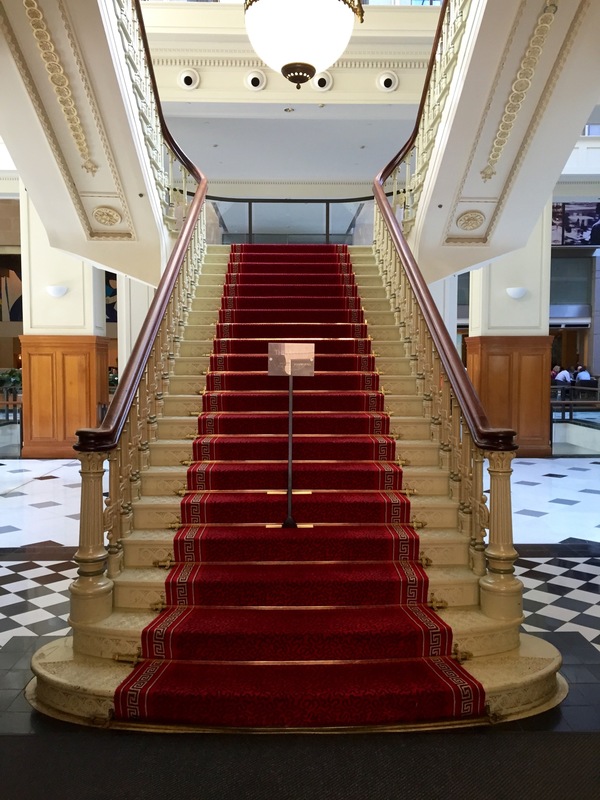 The public spaces are pretty cool – just like some other hotels in Sydney – and for the price, I think it’s generally good value. 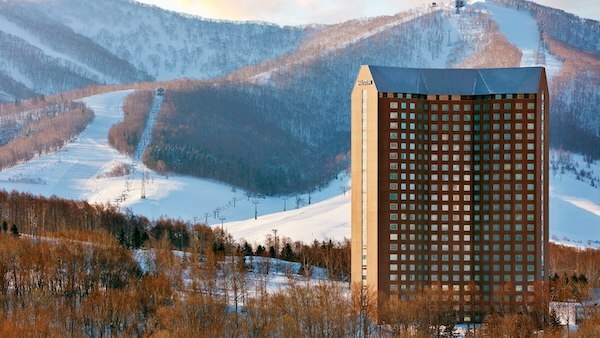 It usually comes in cheaper than the InterContinental, and of course the Park Hyatt. The best bit about this hotel is really the location. 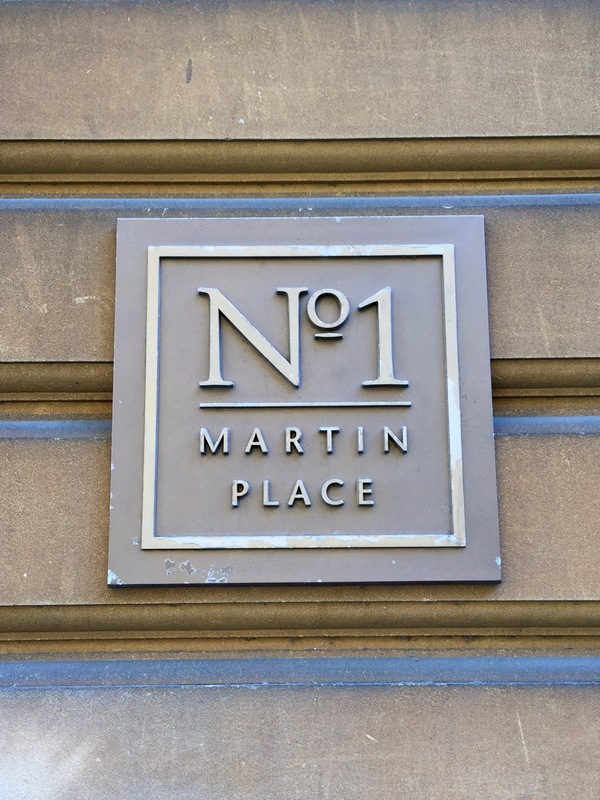 Martin Place is right in the middle of the CBD, between two major train stations, and walking distance to Circular Quay. 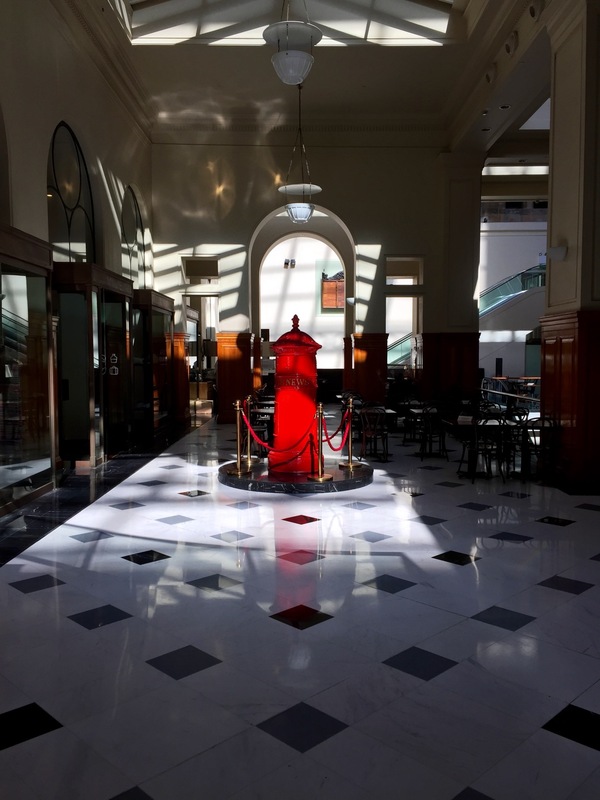 If you have a need to be in the city, there probably isn’t too much more of a central spot. 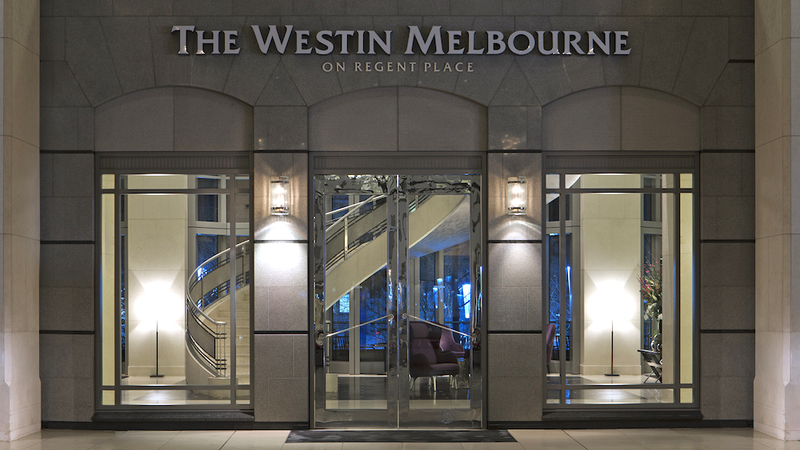 The Westin is probably soon in need of an interior make over to keep it competitive on the ever-trendy Sydney hotel scene – but until then you’ll probably have a decent experience in a quiet and good quality hotel. Good write up. I’m about to do the same with my credit card. It offers a free spg gold upgrade and late checkout till 4pm. Curious to know if they offered that to you? It wasn’t offered, and I didn’t need it so didn’t ask on either. BTW, Westin is where top tennis players stay during APIA International in early January. I’ve volunteered as a driver last year and had a pleasure to drive Cibulkova, Hantuchova and may others to and from the competiotion venue. How did you guess my real reason for this stay?! Yep, I needed the night for SPG Gold from the Bankwest World MasterCard – saw the cheap rate after New Year and thought I’d give a try. Good idea with the volunteering. Did you get to see any tennis out of it? Getting started: which frequent flyer programs should you join?